A legendary Jedi returns and much more in this thrilling trailer. Fresh on the heels of Rogue One‘s war-heavy story, here comes the return of Star Wars Rebels. Based on the trailer released today, that return seems to feature, appropriately, higher stakes than ever before. Here’s some highlights that are sure to have us all guessing what’s to come in the second half of the third season of Star Wars Rebels. 1. The return of holocron Obi-Wan. 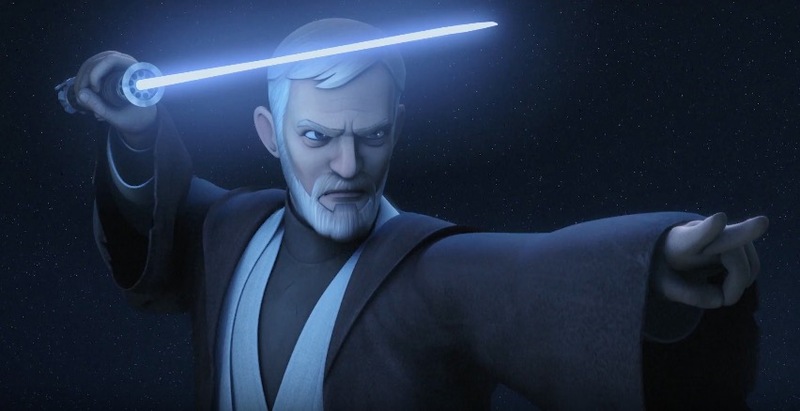 The last time we saw Obi-Wan (in Season One of Rebels), he appeared to Ezra as projection from Kanan’s holocron. 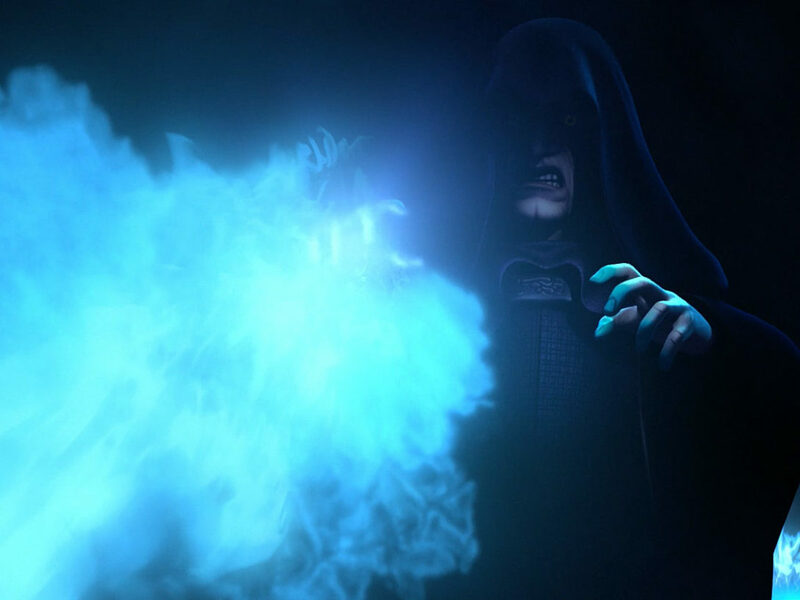 Now, that holocron message — the one he recorded soon after the annihilation of the Jedi following Order 66 — has taken on a new, sinister meaning in the context of what the first half of Season Three set up: Thrawn is closing in on the rebels, and Maul is closing in on Obi-Wan. Obi-Wan’s cryptic words,”This message is a warning,” echo throughout the entire trailer, setting up what promises to be dark tidings not only for the crew of the Ghost, but for the entire rebel fleet. 2. Saw Gerrera enters the fray. We know Saw as a rebel on Onderon in the Clone Wars and, with his appearance in Rogue One, as a radical freedom fighter at odds with the Rebel Alliance. But what about the time between? 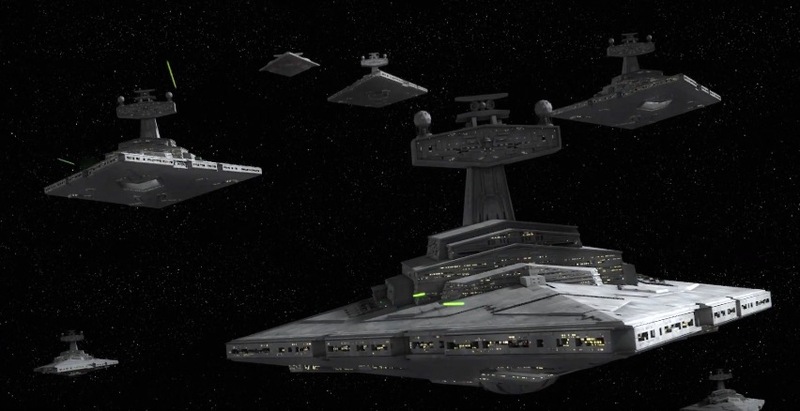 It looks like coming episodes will help fill in the gap, and Saw’s union with the rebels couldn’t come at a better time. With the Empire looking to crush the opposition once and for all, the rebels need all the help they can get. But will Saw prove to be a valuable asset, or a dangerous one? 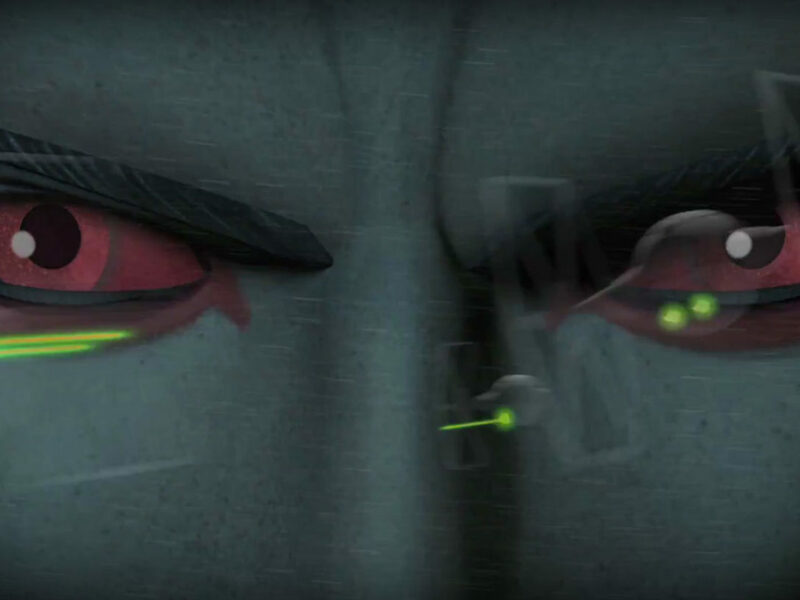 The first half of Rebels gave us a very passive Grand Admiral Thrawn. He observed. He studied. He prepared. 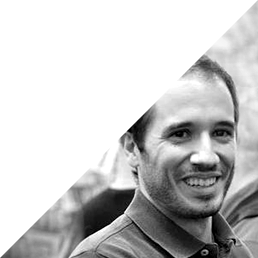 And now, if his words are true (“This is exactly the moment I’ve been waiting for.”), this is his time to strike. True to the Thrawn many us know and love from Timothy Zahn’s trilogy of novels, Thrawn is a patient, meticulous combatant, and when he attacks, his blows are crippling and absolute. 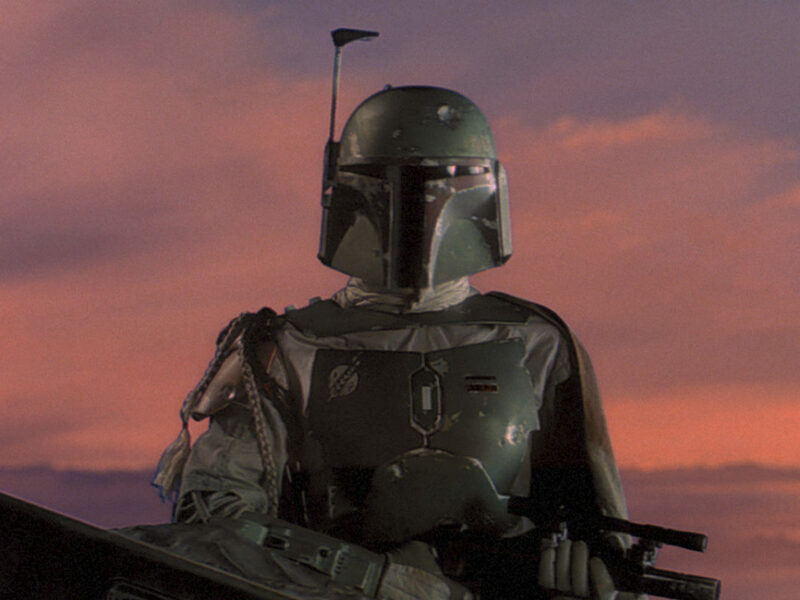 With danger surrounding the rebels everywhere they turn, the last thing they need is another enemy. But that’s exactly what they seem to have in the form of a tall, powerful, and heavily armored droid. 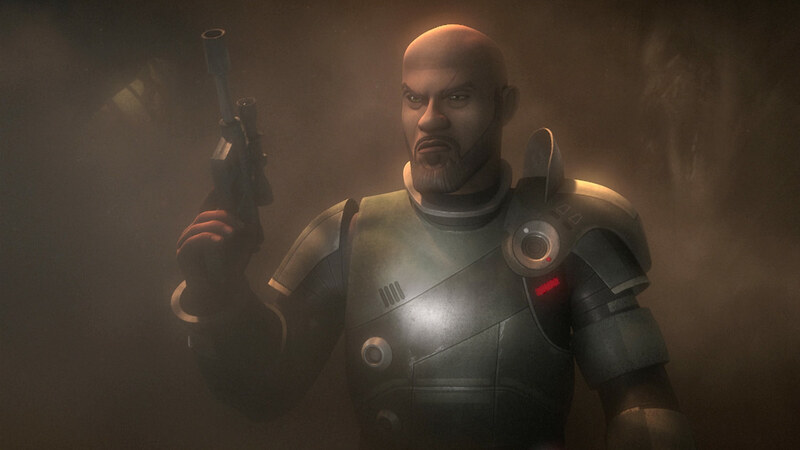 The droid’s identity and purpose is a mystery, but seeing that it engages in battle against Zeb and slaps Chopper out of its path, friendship isn’t likely to be part of its programming. 5. The walls closing in on Fulcrum/Agent Kallus. 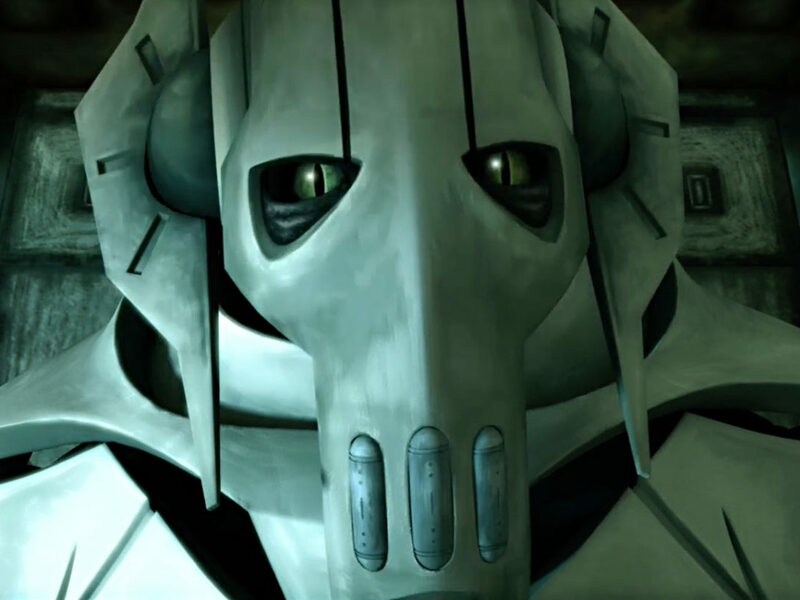 One of the most interesting bombshells that was dropped in the first half of season three was the reveal of Agent Kallus as Fulcrum–the spy feeding Imperial intel to the Rebels. 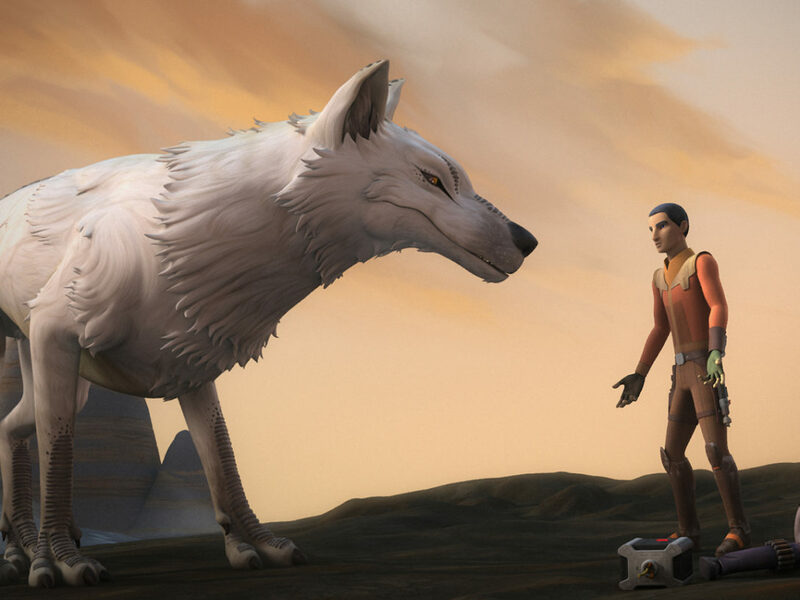 Seeds of Kallus’s transformation were planted way back in the season two episode, “The Honorable Ones,” and his turn was rewarding and well-earned. But now, the risk Kallus took in becoming a mole may meet a dark end: Thrawn knows someone is conspiring with the Rebels, and it’s only a matter of time before he pinpoints the source. 6. Family drama on Mandalore. In the mid-season finale, Sabine recovered a very interesting artifact on Dathomir: the Darksaber. An ancient black-bladed lightsaber, the Darksaber has a long history between the Jedi and the Mandalorians, but the most salient point is whoever wields the ancient weapon claims leadership of the Mandalorian Death Watch. Suffice to say, the Darksaber possesses serious cred on Sabine’s home planet, and her returning with it is no small matter. 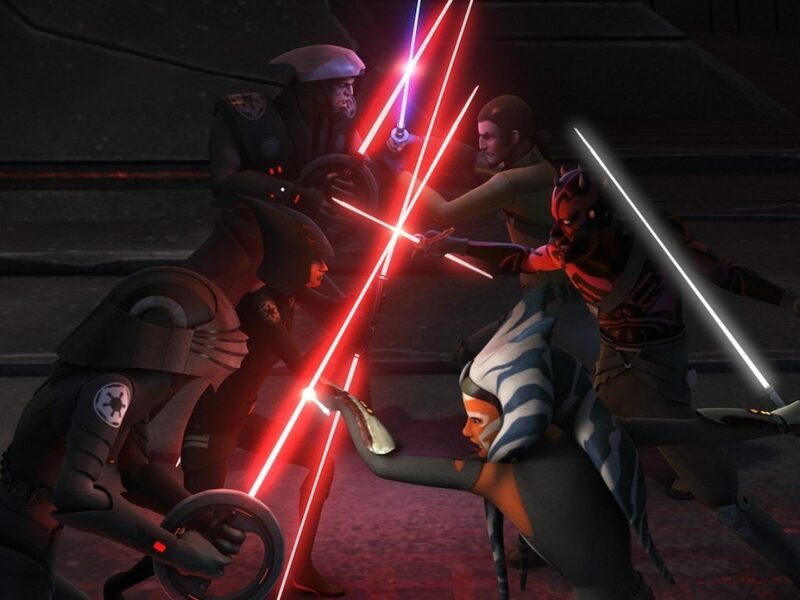 How her family will respond — particularly’s Sabine’s mother, who seems to wield considerable influence on Mandalore — may help further the battle lines that are seemingly being drawn throughout the upcoming episodes. 7. Mon Mothma drops in. For a character who had a brief appearance in Return of the Jedi, Mon Mothma is sure having a renaissance of late. The rebel leader played an important role in Rogue One, and she seems to hold equal weight here, helping the rebels bring the varying pockets of resistance into a unified alliance. 8. The wrath of the Empire. Despite having Ezra already under his wing, Kanan spares time to train Sabine so she can handle her newfound Darksaber. 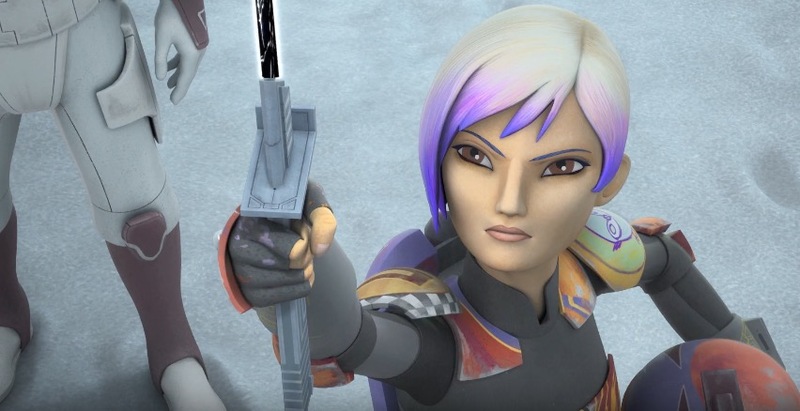 From what we see, Sabine takes to the weapon of a Jedi pretty well, much like other Mandalorians before her. 10. 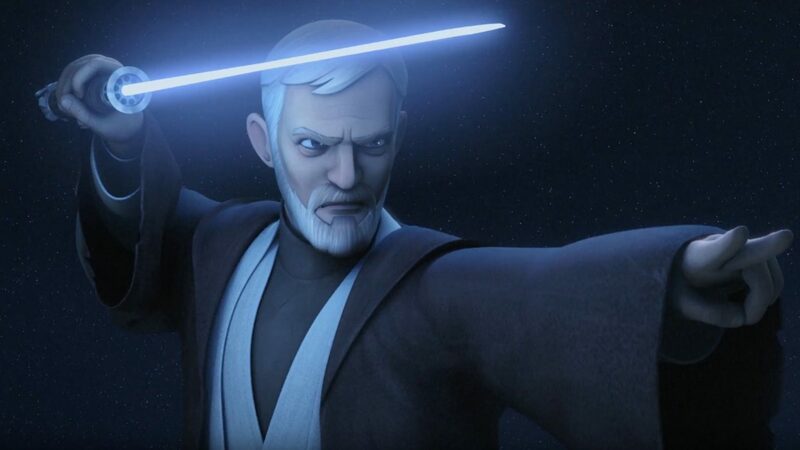 Oh, and did we mention OBI-WAN?! Obi-Wan versus Maul, once again. 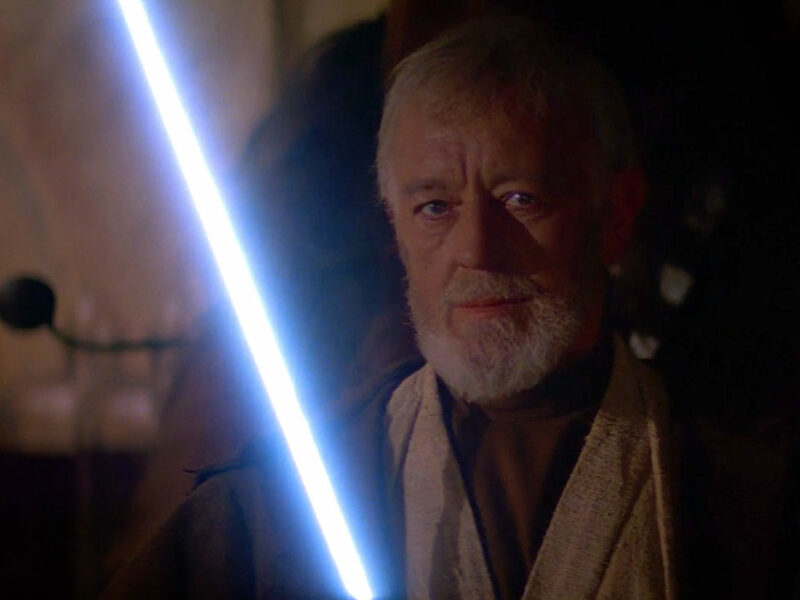 This is a showdown years in the making — and it gives fans a much desired look at Obi-Wan on Tatooine, pre-A New Hope. What were your favorite moments from the trailer? Let us know in the comments below! 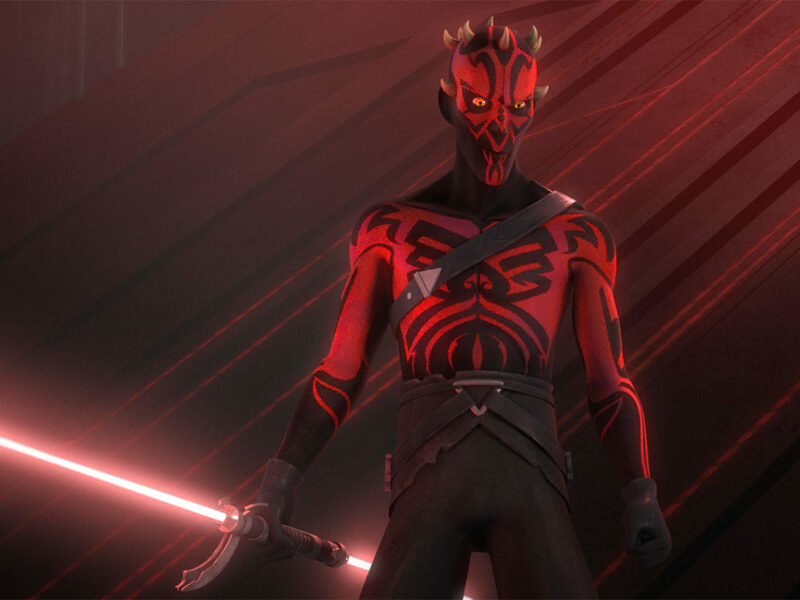 Star Wars Rebels Season Three continues this Saturday on Disney XD at 8:30 p.m. ET/PT.